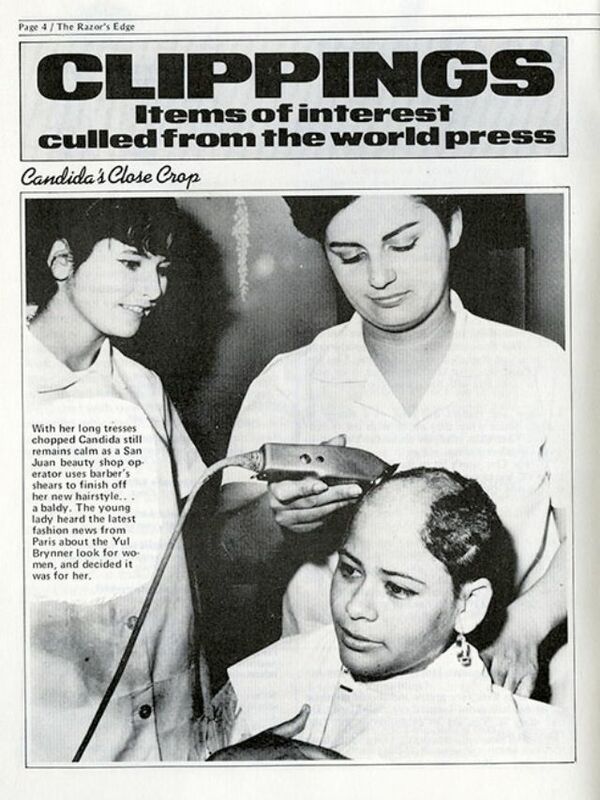 The magazine was launched in 1975 by famed underground cartoonist Alan Shenker, best known as his pen name “Yossarian.” Shenker got the idea while working for Screw, when he heard of a women’s cult shaving their heads en masse to protest gender inequality. 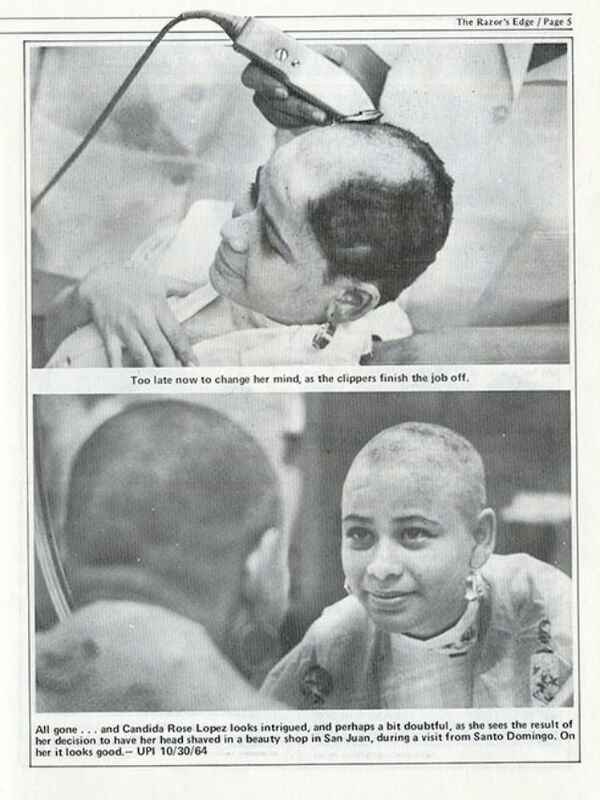 Under the name “Captain Stanley,” Shenker actually managed to keep the magazine going for a few years, paying models up to $200 to be shaved and receiving some major press attention from publications like The New York Times, Washington Post and The Village Voice. 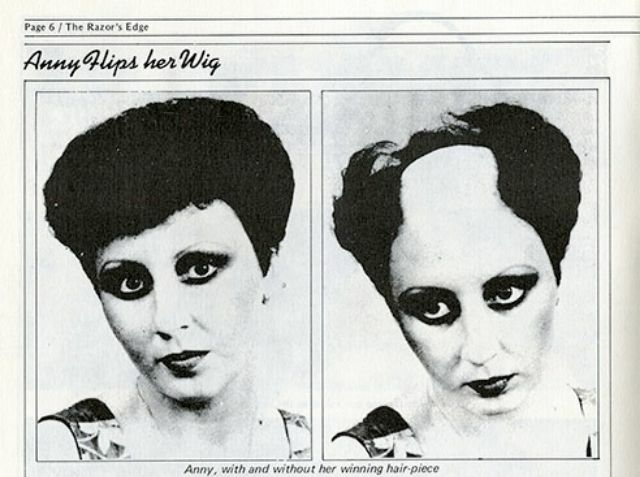 The magazine even hosted a fairly well-publicized Miss Bald America pageant. 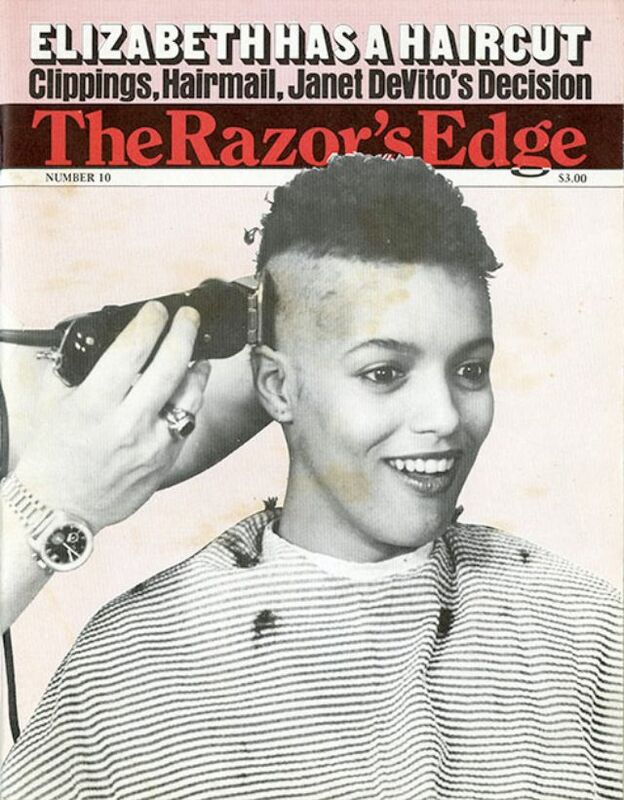 Interestingly enough, the women featured in The Razor’s Edge aren’t really sexually objectified. 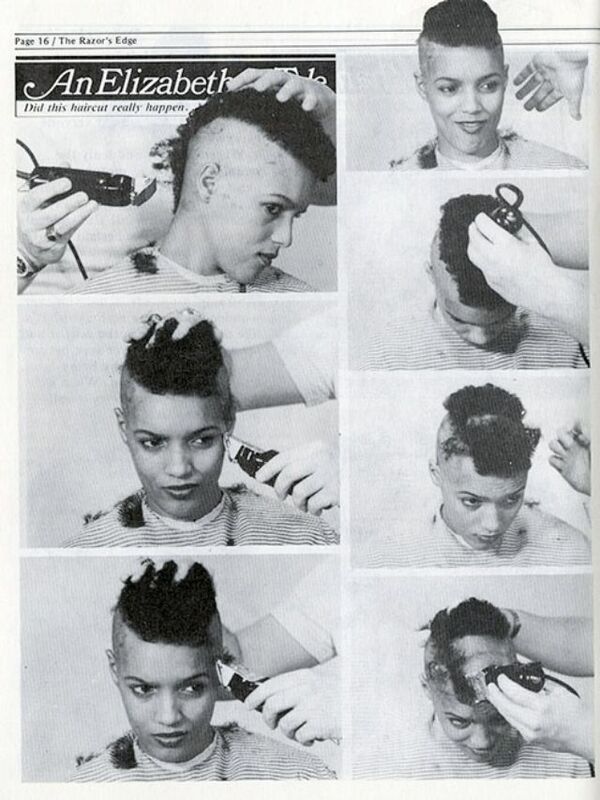 The fetish isn’t just for bald women, but for the process of shaving and the transformation thereof. 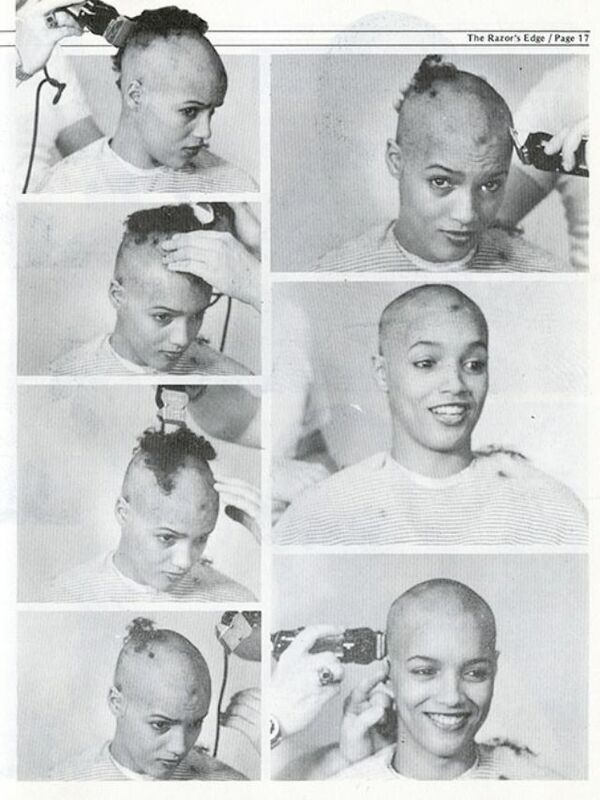 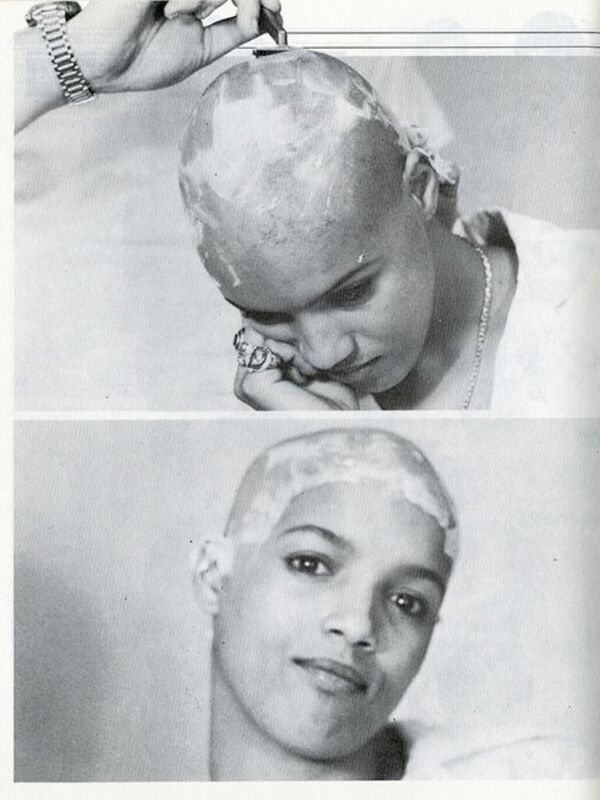 Much of the shoots are dedicated to the women’s reaction to being shaved, and their delight and surprise at their new chrome domes.